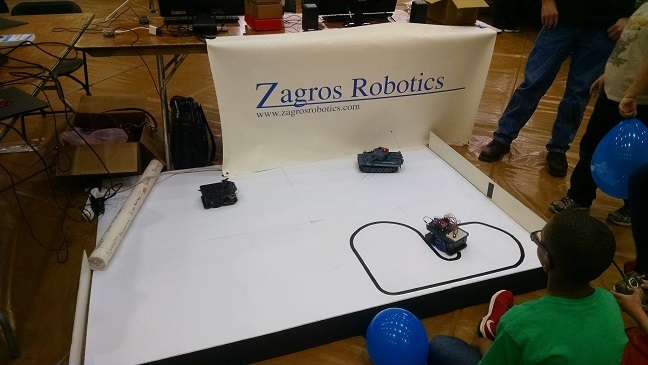 Zagros Robotics set up several Raspberry Pi demonstration stations for everyone to check out and play with. 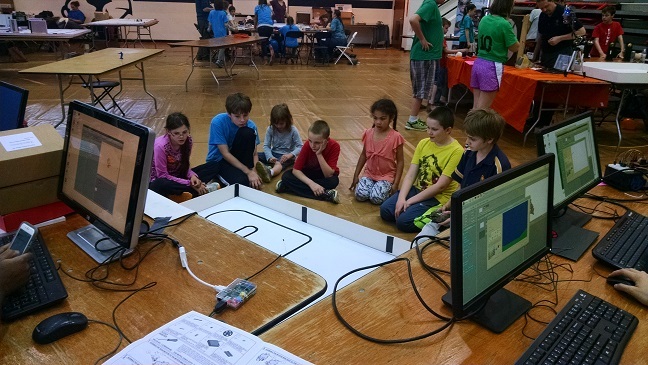 The Raspberry Pi stations allowed particpants to write simple programs in Python or Scratch or just play games. 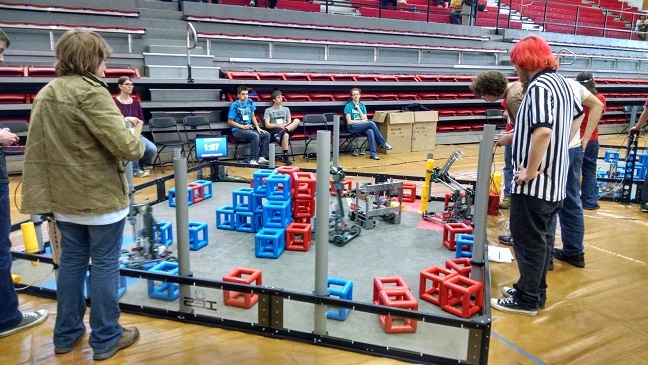 We also had a few different robots on display including several line followers. 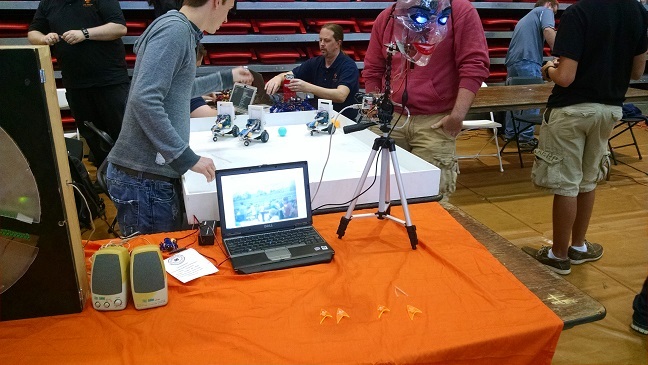 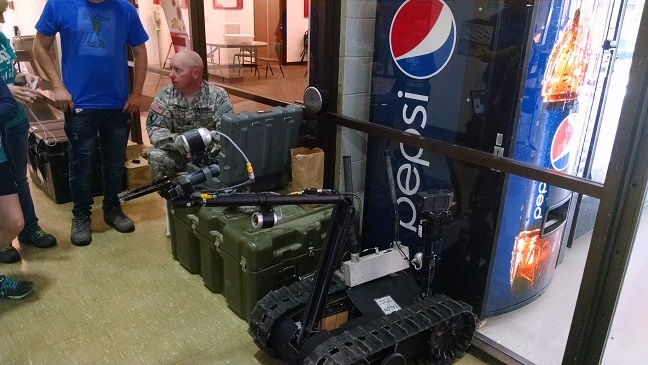 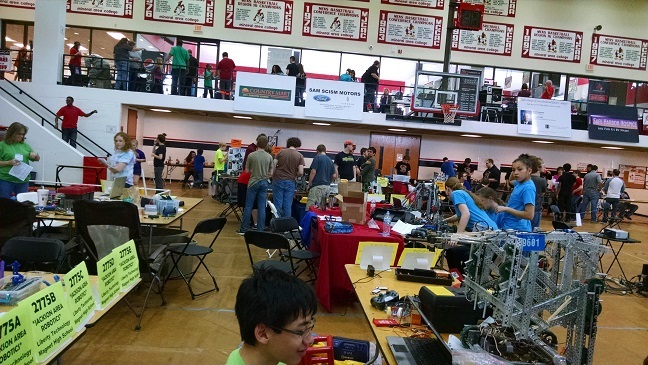 Members of the local St. Louis robotics club also showed off some of their robotic creations including a NAO and an interactive Tank and Drone game.